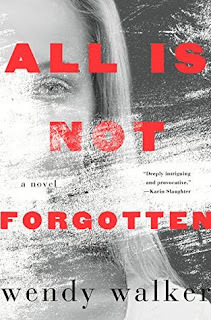 Today I'm featuring All Is Not Forgotten by Wendy Walker. The excerpts shared are from the hardcover I borrowed from the library. As an added thrill, I'm also listening to the audio version while driving about. He followed her through the woods behind the house. The ground there was littered with winter debris, dead leaves and twigs that had fallen over the past six months and decayed beneath a blanket of snow. She may have heard him approach. She may have turned and seen him wearing the black wool mask whose fibers were found beneath her nails. Page 56: "Jenny did survive. And that is where I come in." 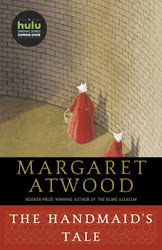 My thoughts: The opening is quite graphic and disturbing, but after seeing this book all over the blogosphere, I am interested in knowing more. I'm about half way through, and am engrossed in the characters and how the assault has affected their behavior and relationships. From Goodreads: In the small, affluent town of Fairview, Connecticut everything seems picture perfect.